Gitega believes that Kigali is exaggerating by advising its nationals against coming to Burundi. This is another proof that the conflict between Burundi and Rwanda is far from ending. 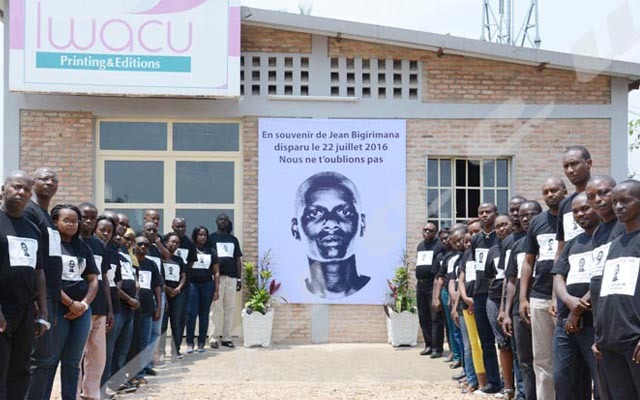 Burundi has difficulty digesting the decision made by the Rwandan authorities. Towards an escalation in the deterioration of relations between the two neighboring countries? On March 20, the commander of the east military region and the governor held a security meeting in the district of Bugesera. The population, security forces and the administration were present. For General Mbalaka Muganga, no Rwandans should go to Burundi. “Even in case of marriage, look for partners here at home because on the other side, the ground is slippery. Security is above all. Our neighbors are not good these days. Watch your friends and partners on the other side, and especially, do not go there until the situation normalizes again,” he insists. Frequenting the natural forest of Gako, which borders Burundi near Kirundo, was also prohibited. “We warn you. Forget any reason that would make you go to this natural forest. Getting there is for the moment considered as an act of rebellion. As a military commander, I warn you! He who will be caught will not have the chance to tell others his fate, we will not even introduce him to the police, rather we will immobilize him,” warns General Muganga. Gitega is somewhat dubious about the reaction to be made over these remarks. Should they be taken seriously? What importance should be attributed to this prohibition? The First Vice-President of the Republic of Burundi seems embarrassed on this issue. For Gaston Sindimwo, Burundi still maintains its values as a welcoming country. “We have several Rwandans who decided to live here, and there is nothing wrong with it. They are at home here”. As a reminder, in the past, the Burundian authorities had accused Rwanda of spying Burundi. At a meeting of the politicians in his province, Anicet Ndayizeye, Governor of Kayanza province, claimed that a Rwandan military airplane flew over the Burundian territory to more than four kilometers on 13 July 2018. “The plane made an aerial reconnaissance of our military positions before leaving and this irritated us.” For Gaston Sindimwo, there are pieces of evidence of attempts by Rwandan soldiers to infiltrate the Burundian soil. “We will submit them to the competent institutions in due course”. It is a rather measured reaction on the south side of Kanyaru after this escalation. Since the deterioration of relations between the two neighboring countries in 2015, this is the first time that a Rwandan official has taken such a drastic decision. Both governments look daggers at each other instead of finding a solution to a diplomatic crisis that affects their people. Several Burundians have begun to hesitate visiting their relatives in Rwanda. “If they think we are their enemies and prevent their people from visiting us, can we go there and be welcomed?” wonders an observer. “Did this general have the blessing of the higher authorities of Rwanda to make such a decision?” wonder several Gitega authorities. Some speak of excessive zeal. On the other hand, what is certain is that Kigali has not denied his words so far. The conflict between Burundi and Rwanda takes on a new dimension. In any case, it is the first time that a high-level official in Rwanda has clearly announced that Burundi is its enemy”. The rhetoric is reminiscent of the one used by President Pierre Nkurunziza last September. In a letter addressed to the Ugandan president, Chair of the EAC and mediator in the Burundi conflict, Pierre Nkurunziza accused Rwanda of being behind the Burundian crisis since April 2015. He demanded the holding of a special summit of Heads of State of the region for what he referred to as “an open conflict” with his “enemy” and neighboring Rwanda. For the Burundian president, his neighbor recruits and trains elements to destabilize Burundi.